This Fabric Storage Bin will be constructed after purchase - current turnaround is 2 to 3 weeks. 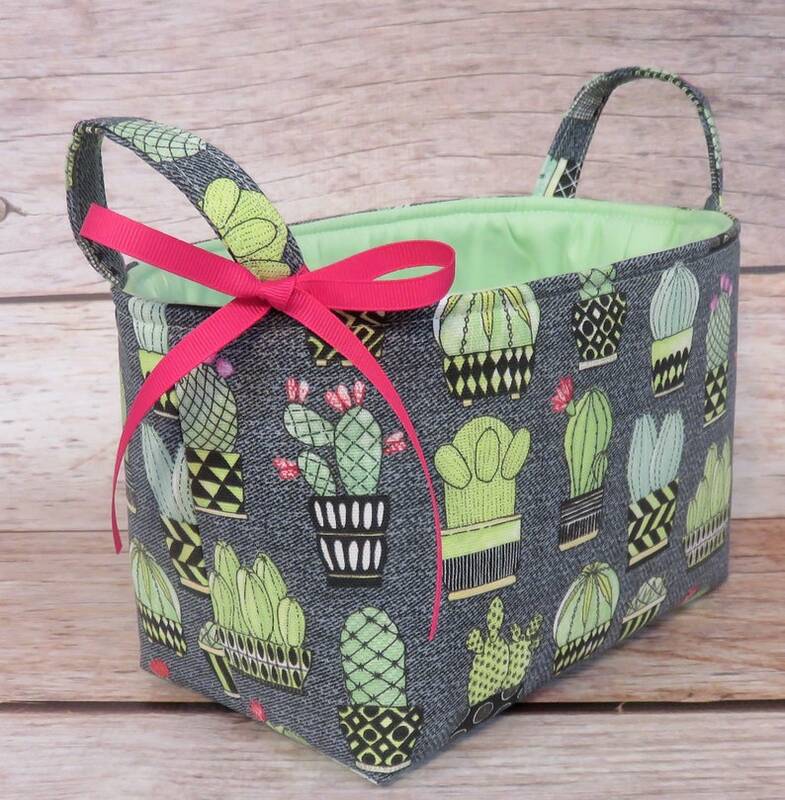 ● Cactus Hoedown - Michael Miller Fabric for the outside. ● Mint Green fabric for the lining. ● The 4th picture show this Storage Bin next to a coordinating fabric bin. The recipient loved this little gift. She decorated her new baby boy's room using a cactus theme, so this was perfect! Thank you for doing such nice work! Beautiful! So sturdy and well made! Very highly recommended shop. I look forward to returning soon! These fabric baskets are perfect catch alls and very well made!